Rajaee Shahr is one of Iran’s most notorious prisons. 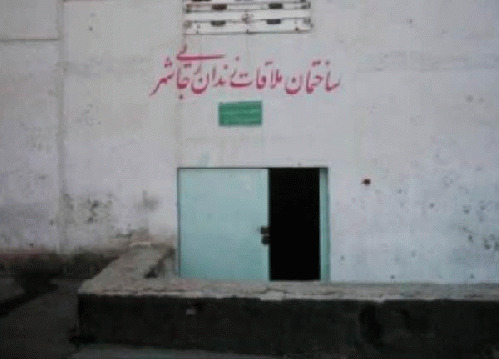 This prison used to be called Gohardasht. It is located about 40 miles outside of Tehran . Since most of the political prisoners in it were killed a few years ago . Currently , it contains regular criminals along with political prisoners. One of the political prisoners who was just released after one year of imprisonment for writing funny poetry against the situation in Iran described the conditions in the prison. Rajaee Shahr makes the worst prison in the U.S. like a picnic area.